Sea Life Michigan Tickets Contest – Enter to win 4 tickets for FREE admission to Sea Life Michigan at Great Lakes Crossing in Auburn Hills! We’re giving away four-packs of tickets to Sea Life Michigan Michigan all year. Sea Life at Great Lakes Crossing has awesome events and specials throughout the year. They even throw awesome birthday parties! Visit www.visitsealife.com/michigan for ALL the latest info & summer fun at Sea Life. e-mail me at lisa@oaklandcountymoms.com. Put SEA LIFE SPRING in the subject line and don’t forget to include ALL of your contact info (name/e-mail/phone #). Please let me know if you’ve completed steps 1-3. I’ll accept entries until Wednesday, May 8, 2019 and random draw/notify a winner on Thursday, May 9, 2019. The winner will receive 4 admission tickets to Sea Life Michigan at Great Lakes Crossing Outlets in Auburn Hills. Winners tickets will be snail mailed to them. Oakland County Moms is not responsible for lost or damaged tickets. Winner will be announced on this page on Thursday, May 9, 2019. Sea Life Great Lakes Crossing boasts a total of more than 5,000 creatures in 150,000 gallons of water including sharks, stingrays, jellyfish and sea horses. 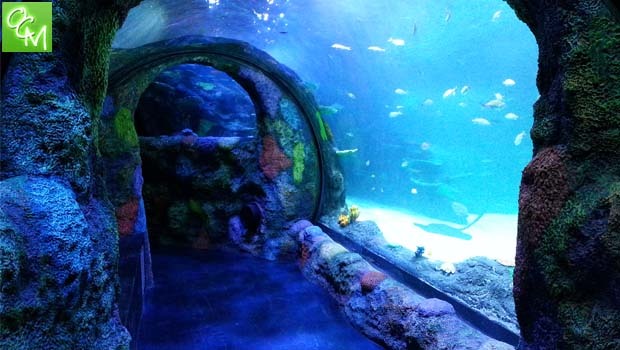 Visitors can walk through the Sea Life Aquarium and view all the different sea creatures in their colorful exhibits. Some of the exhibits are interactive such as a touch pool where visitors can gently touch starfish and pick up hermit crabs. The Sea Life Aquarium at Great Lakes Crossing Outlets also has viewing tunnels and attractive displays to entertain the kids. Sea Life is specifically designed for families with children ages 4-12 years old and operated by Merlin Entertainments, the same company that operates LEGOLAND Discovery Center Michigan at Great Lakes Crossing. Sea Life Michigan Tickets Contest is brought to you by Merlin Entertainments and Oakland County Moms!